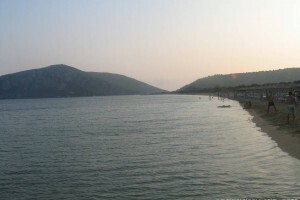 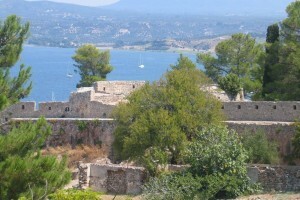 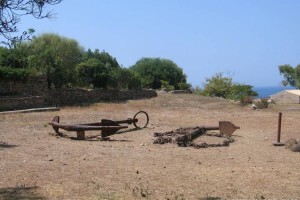 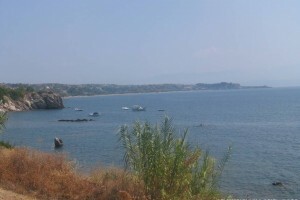 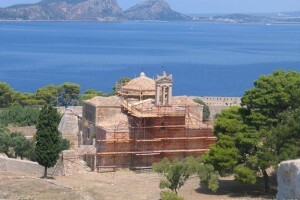 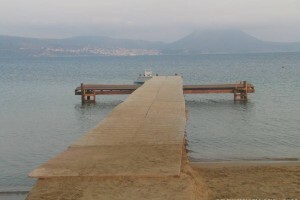 Historical town in the bay of Navarino, on the southwestern coast of the Peloponnese, just 45 km from the city of Kalamata; spread amphitheatrically in two low hills surrounding the harbor, was built in 1828 – 1833 according to the plans of the French engineers of the expeditionary force of General Nicolas Maison, who then campaigned to liberate the Southwestern Peloponnese. 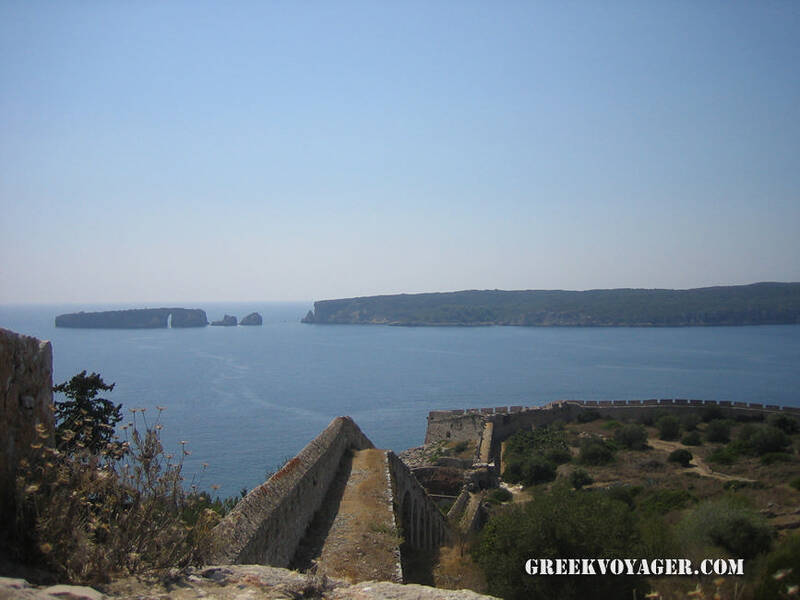 In the bay of Navarino took place in October 1827 the famous battle between the fleet of the three great powers at the time – England, France and Russia – and the Turkish fleet. 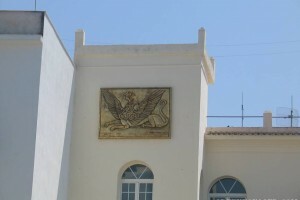 The allied victory contributed to the liberation of Greece. 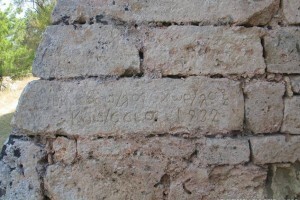 In the large central square of the town, there is the monument of the Three Admirals – Codrington, Derigny and Heyden. 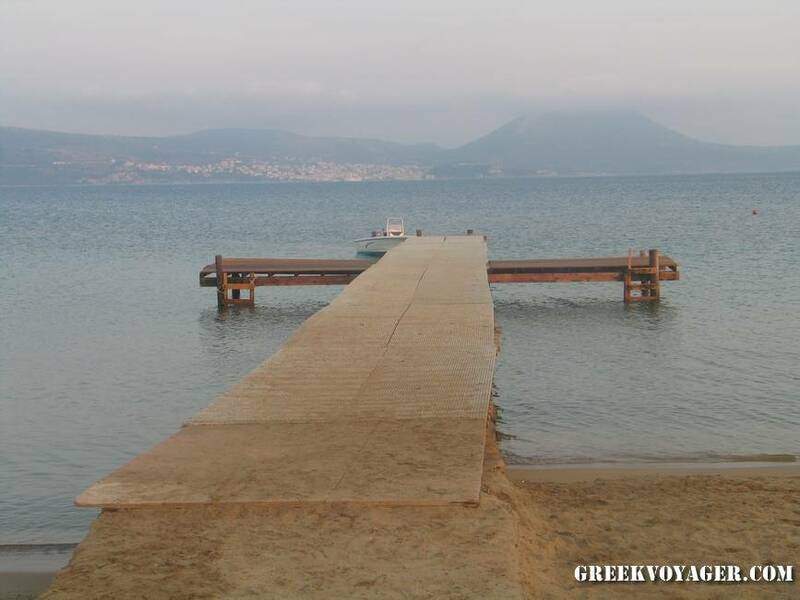 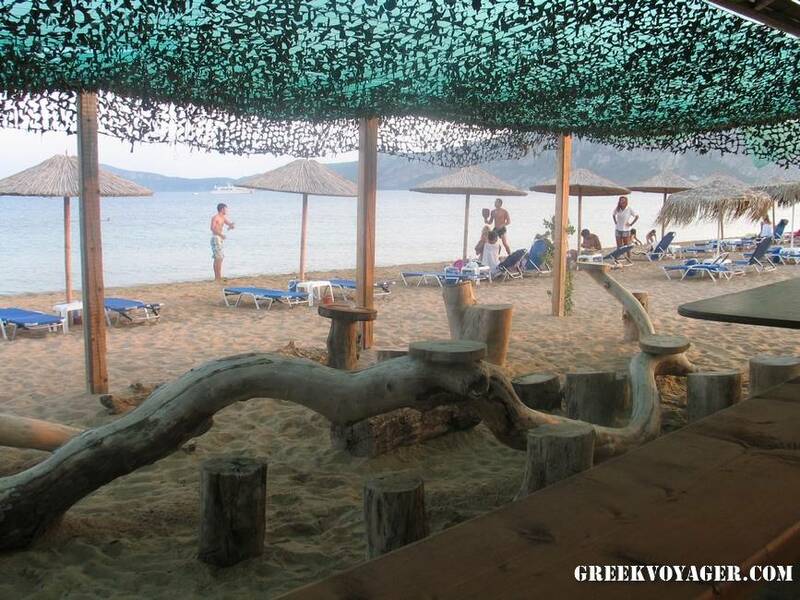 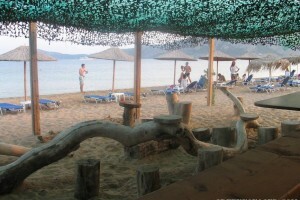 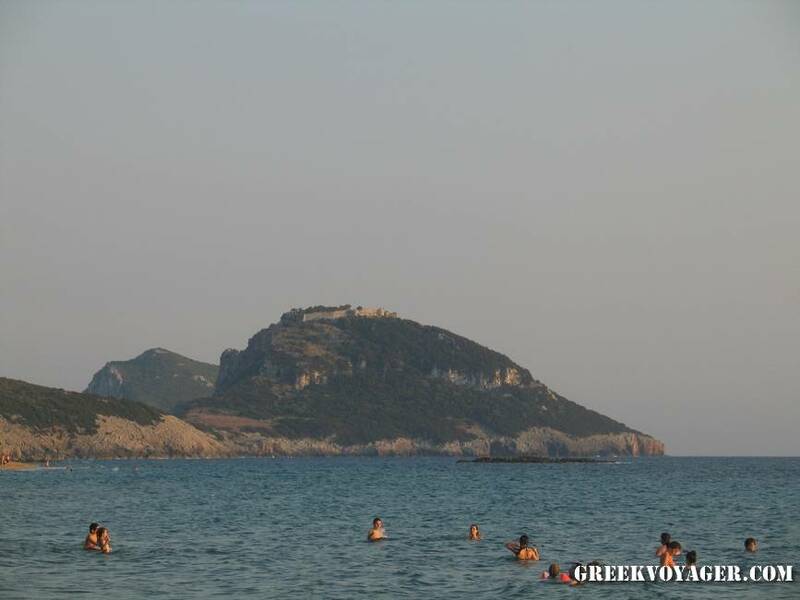 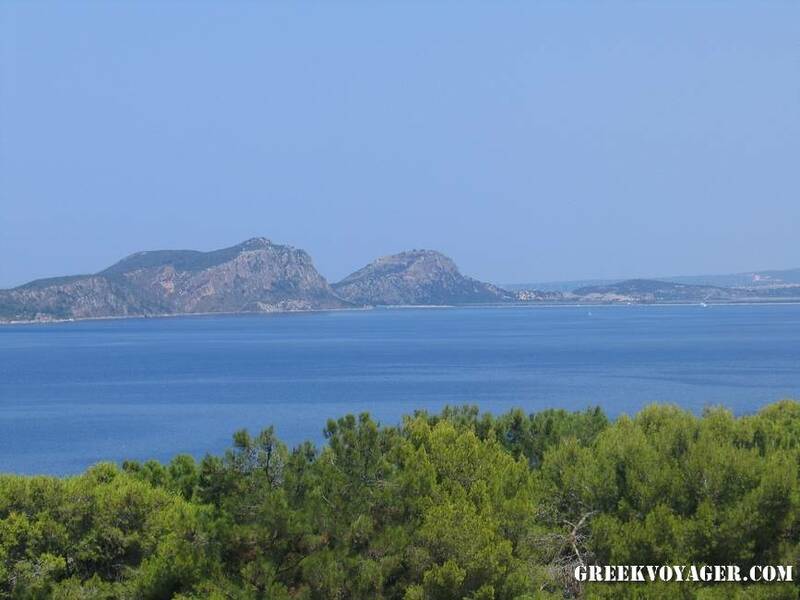 In the islet Helonaki (Little Turtle) or Marathonisi, in the harbor, is the monument in honor of the Britons fallen in the sea battle, and in the islet Pylos, at the southern entrance of the bay, the monument in honor of the French fallen soldiers. 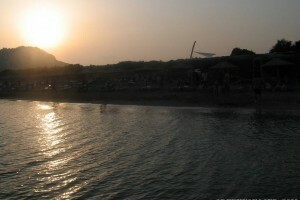 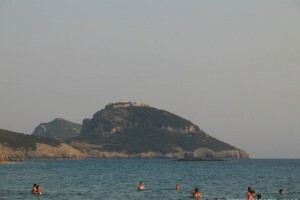 The monument in honor of the Russian fallen is on the island of Sphakteria, located at the western entrance of the bay. 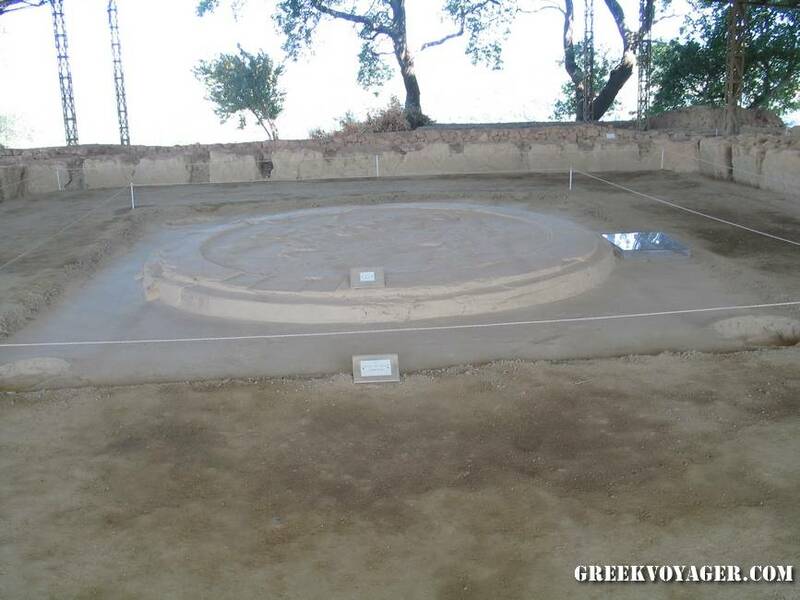 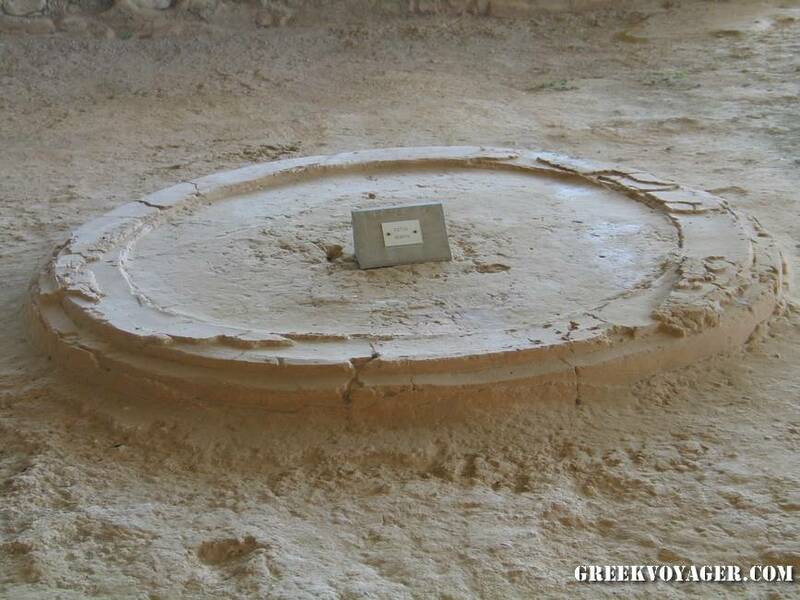 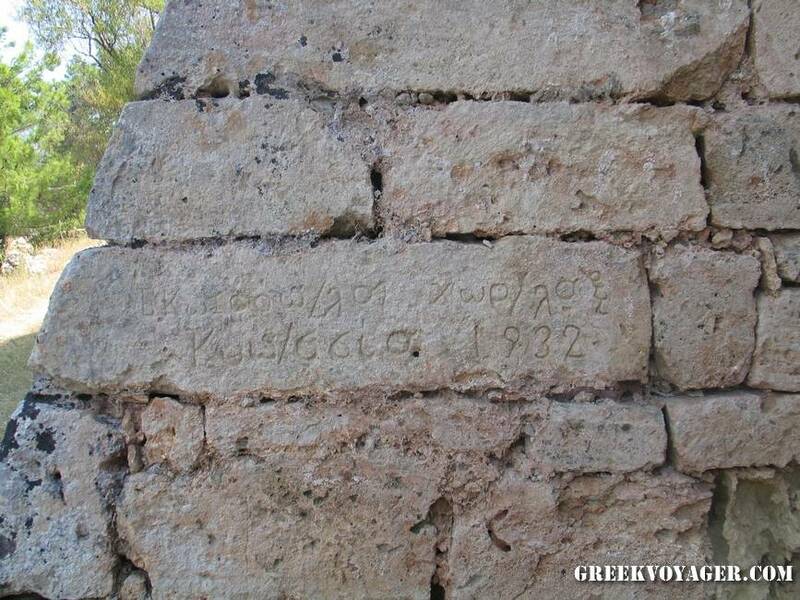 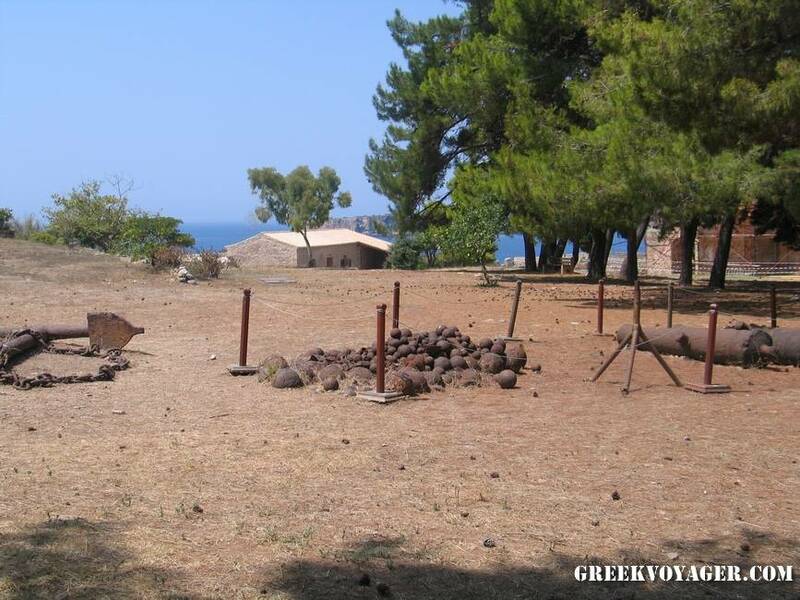 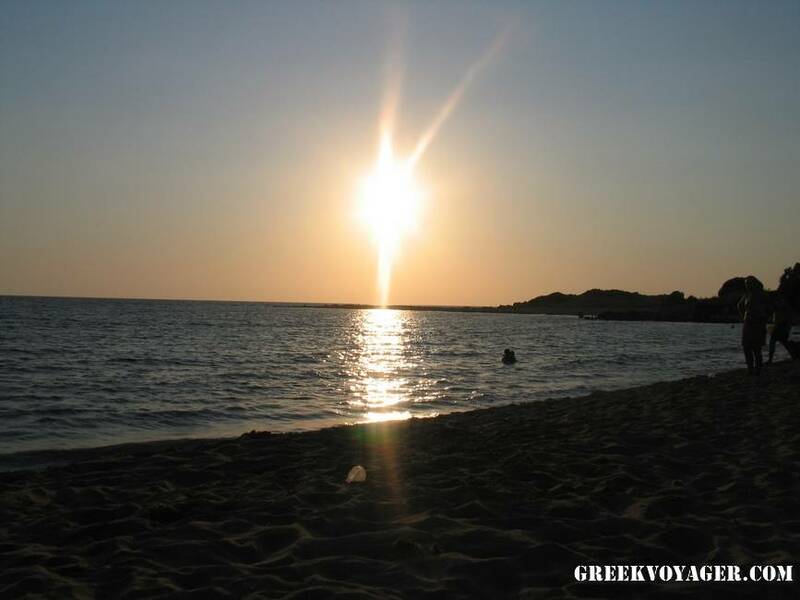 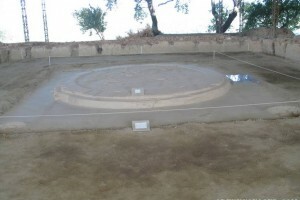 The historic Sphakteria has an area of 3.15 sq km, a length of 5 km and a width of 500 m. On the island there are also the monuments of the Greeks fallen at the Battle of Sphakteria, held on April 26, 1825, and of the philhellene Santaroza and other philhellenes. 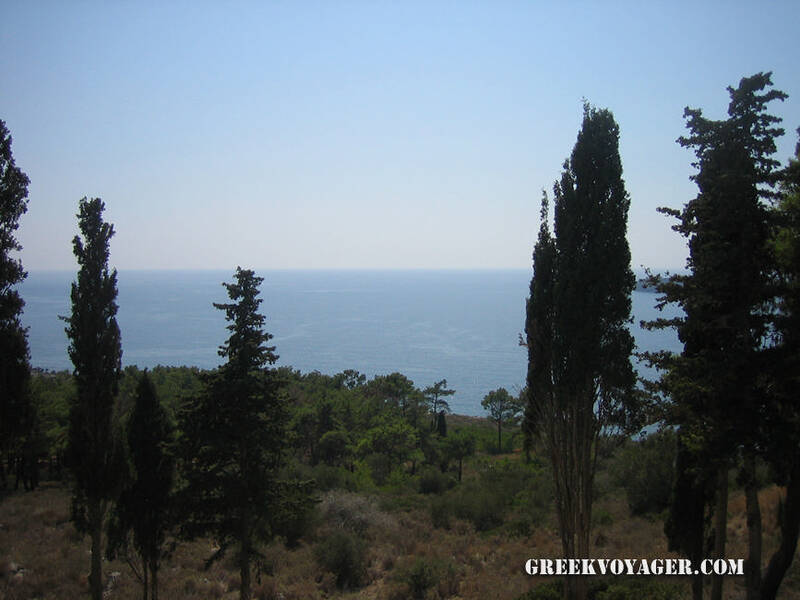 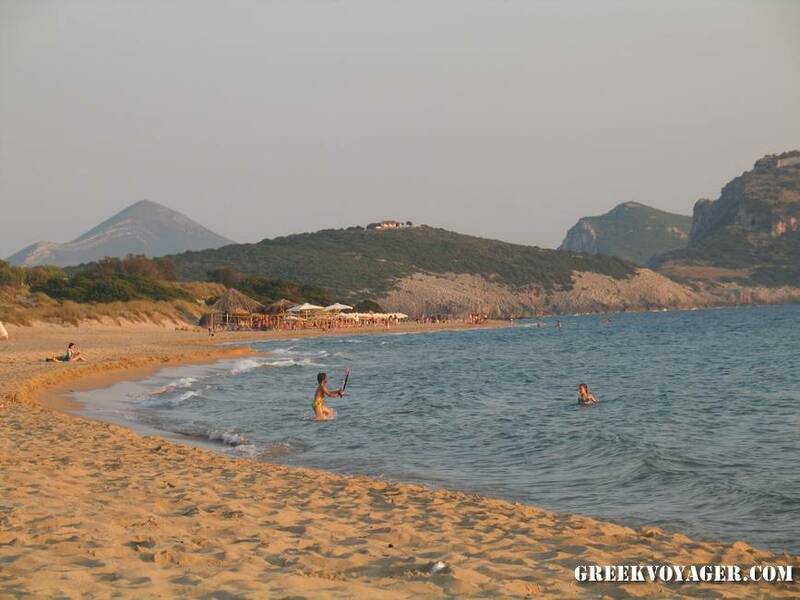 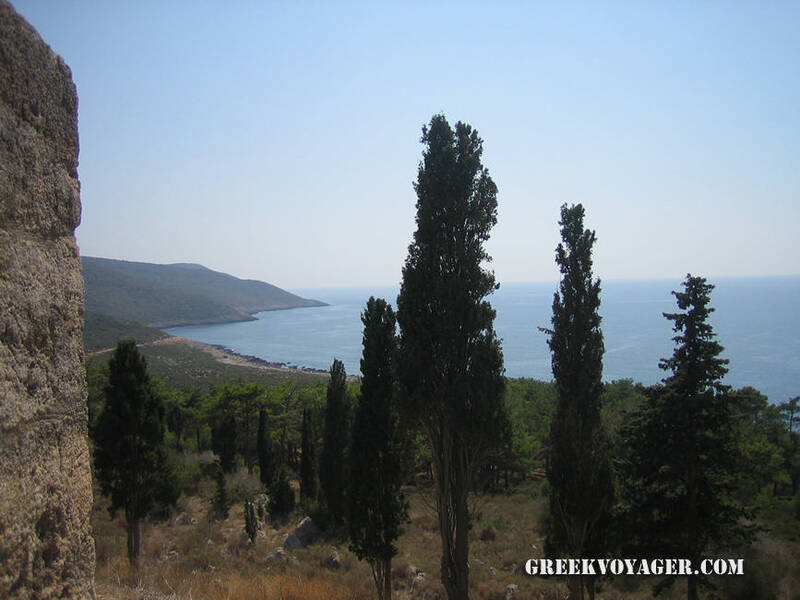 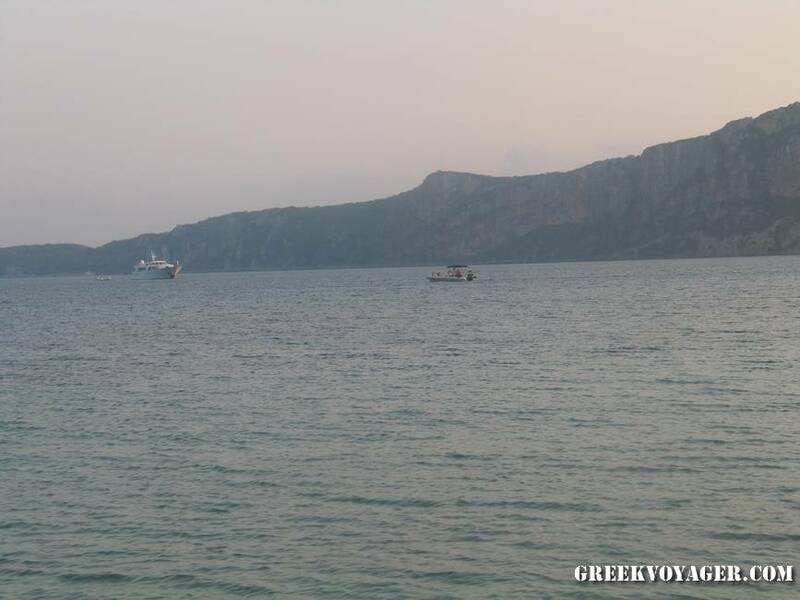 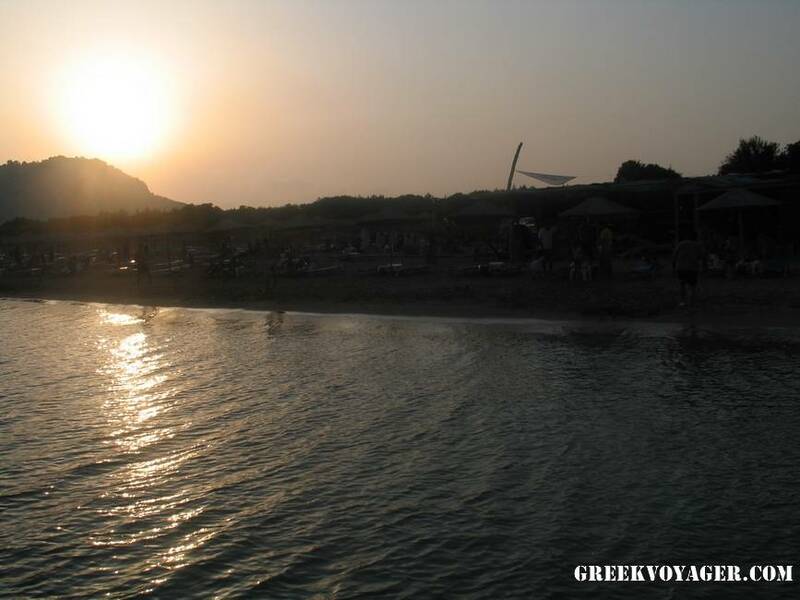 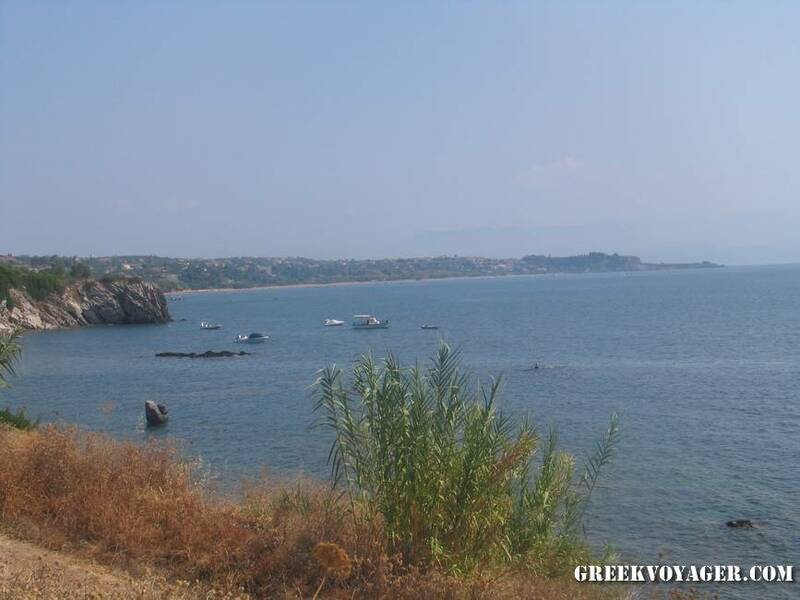 At the northern edge of the island, in 425 BC a battle between the Athenians and the Spartans took place during the Peloponnesian War. 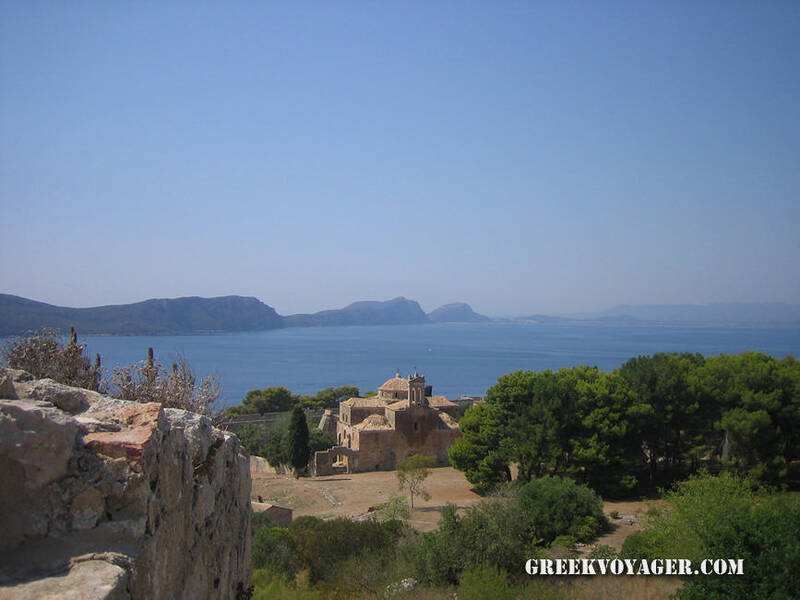 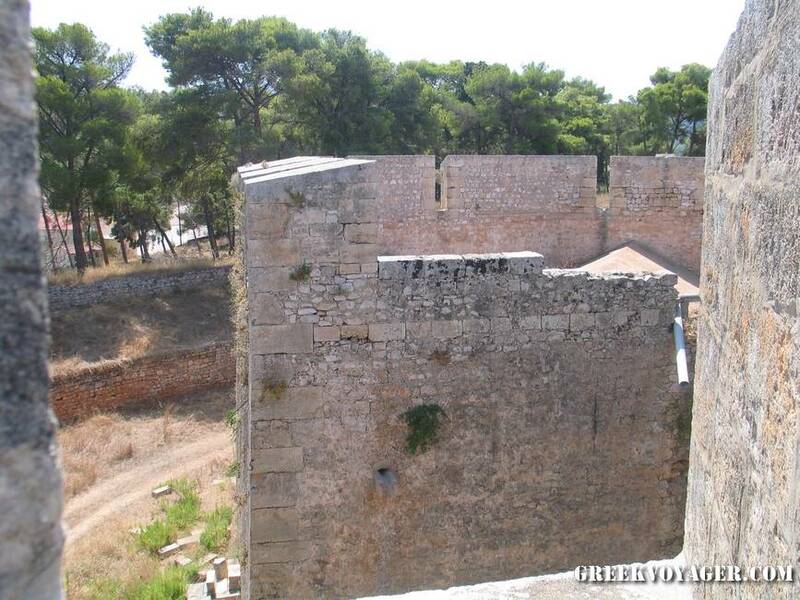 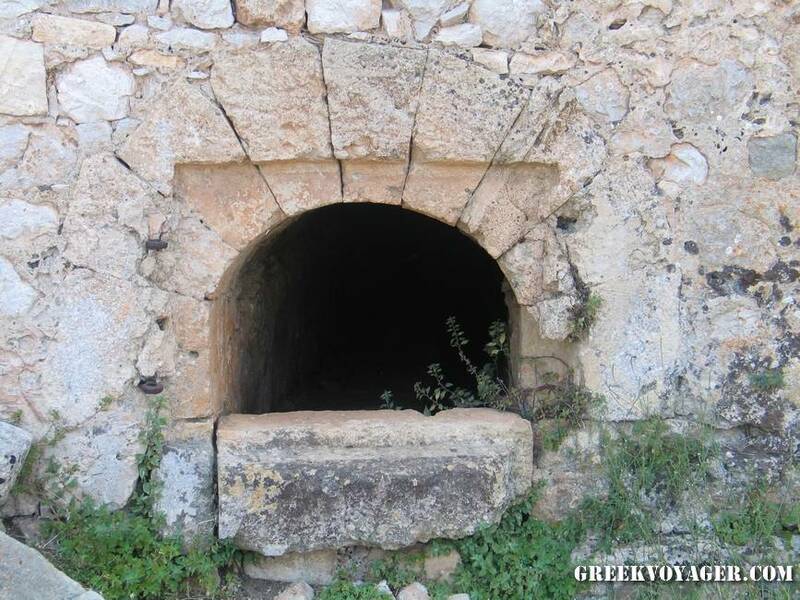 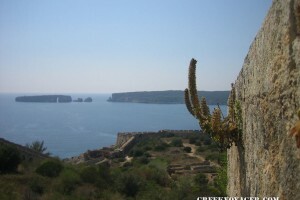 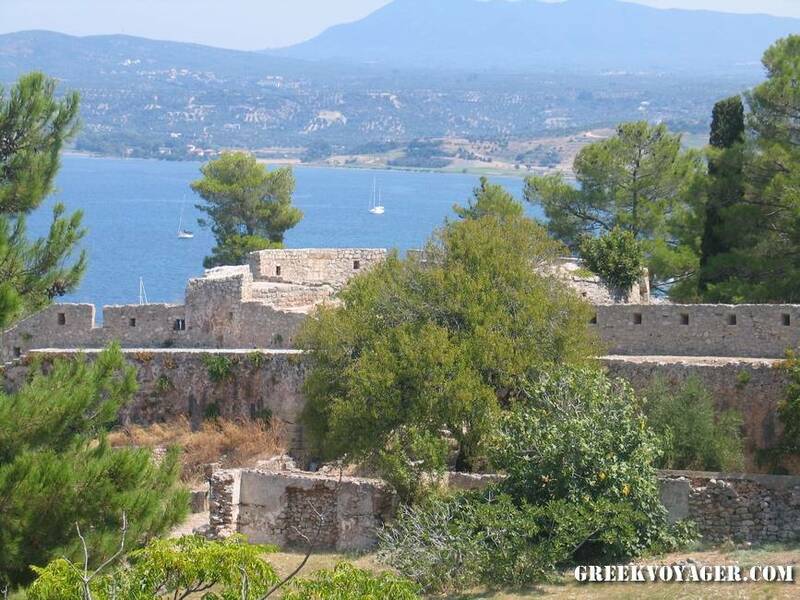 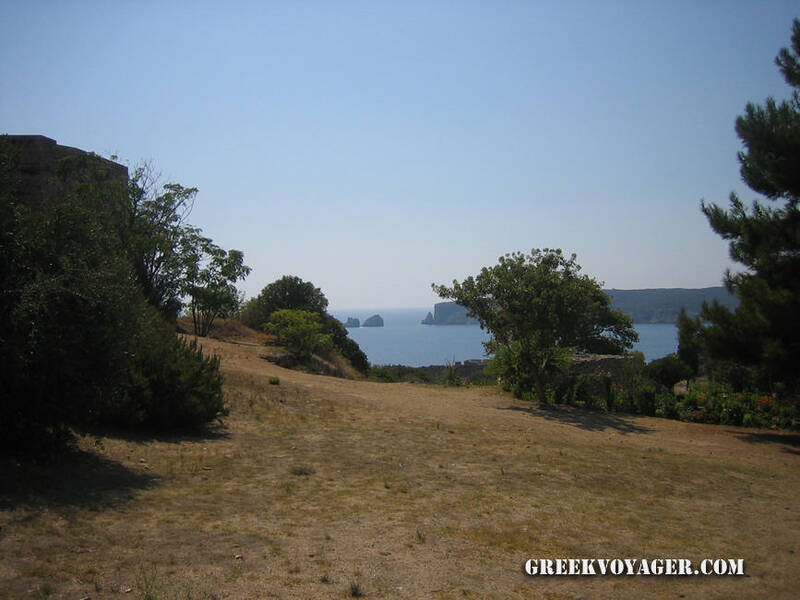 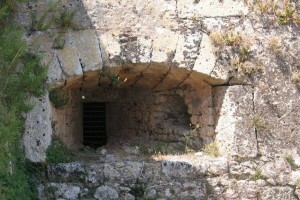 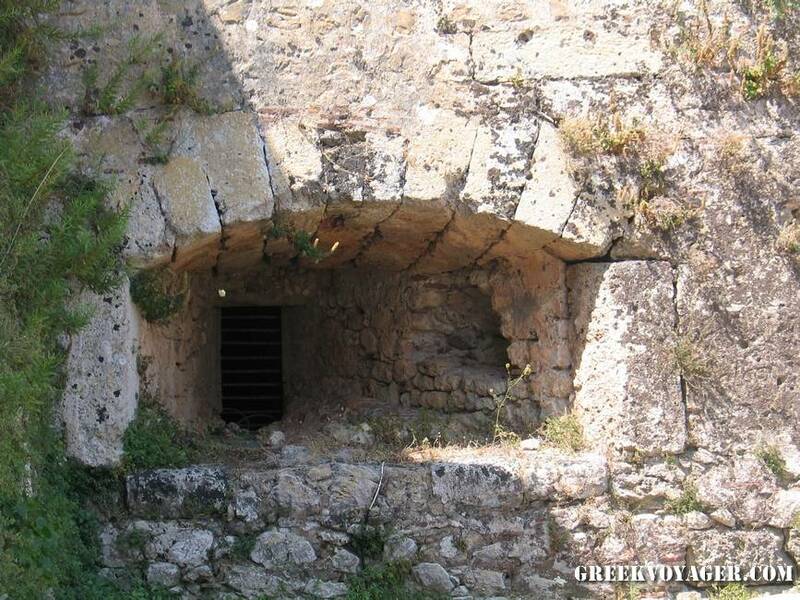 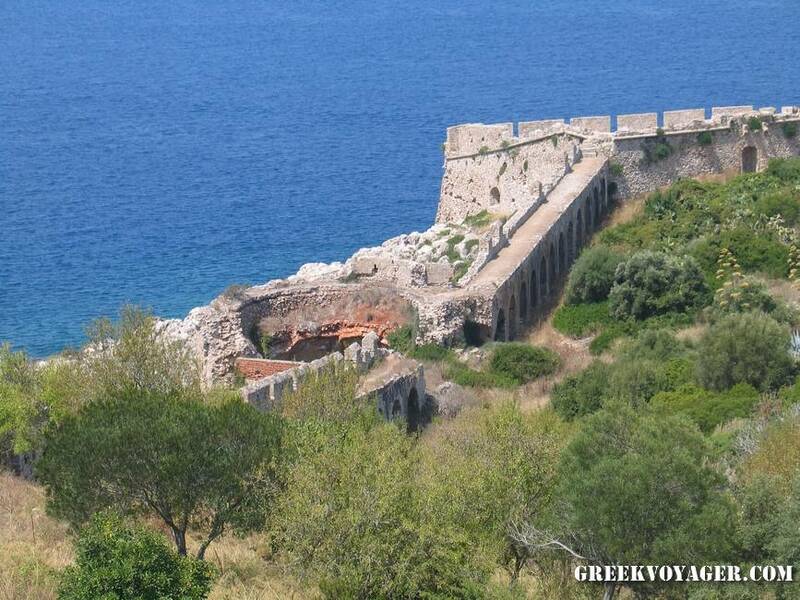 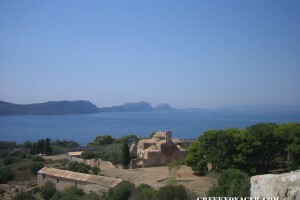 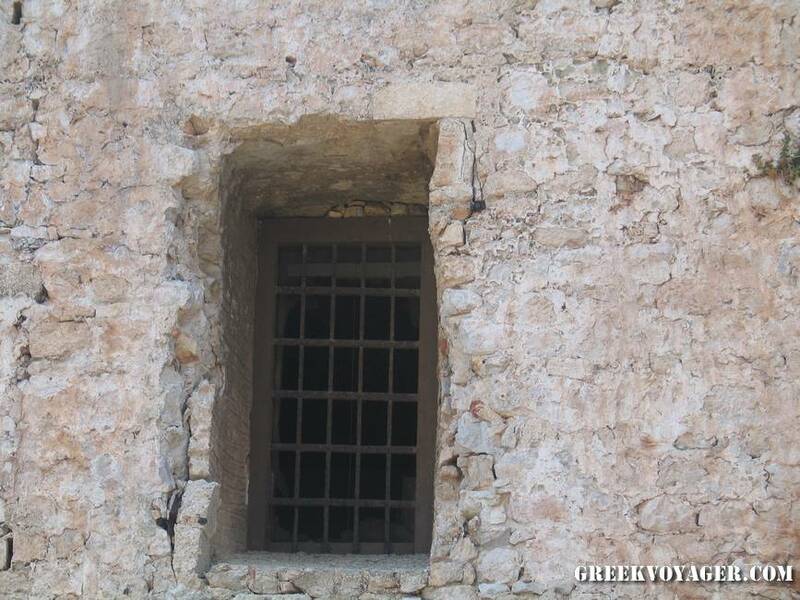 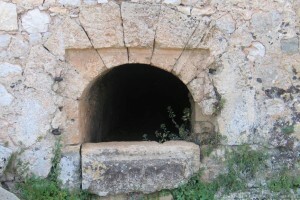 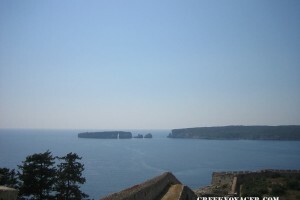 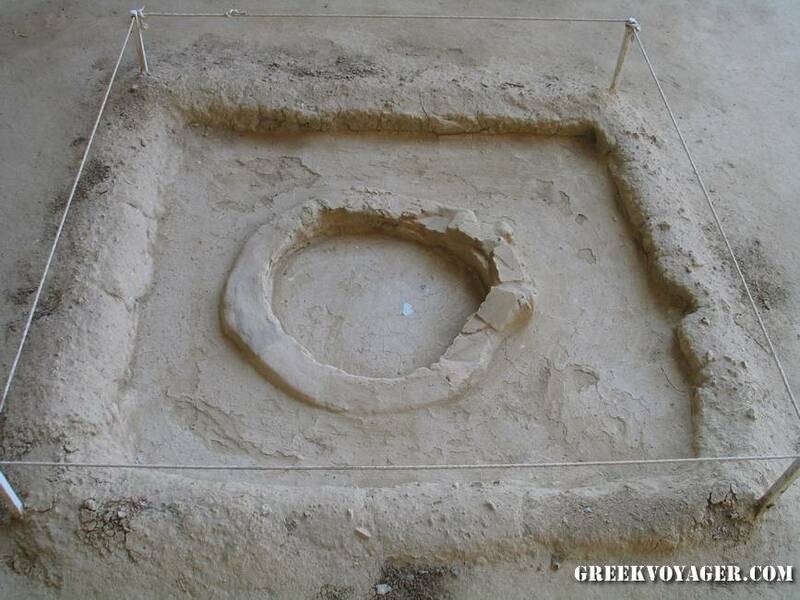 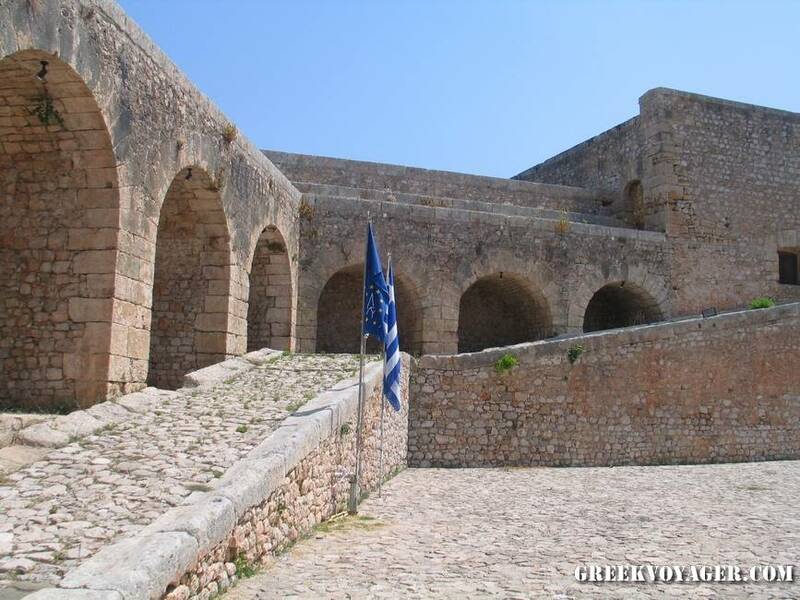 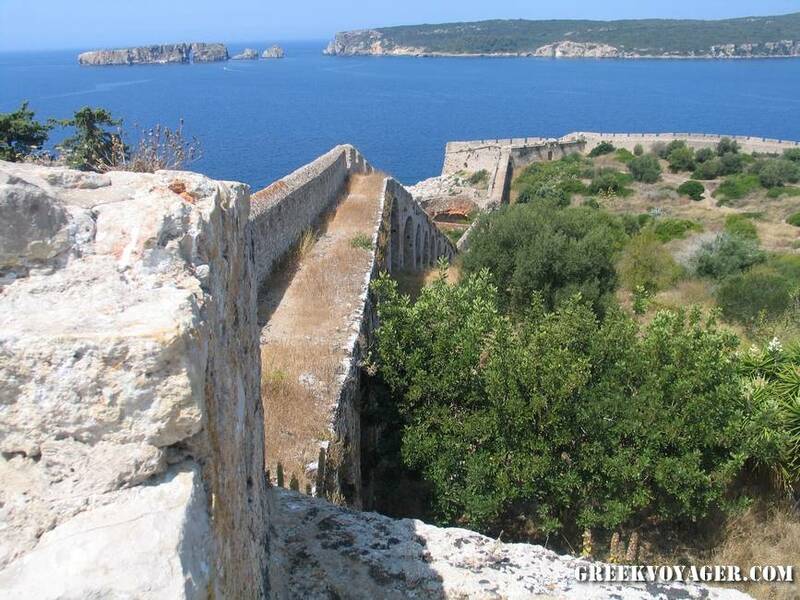 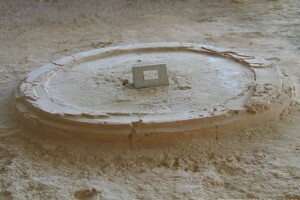 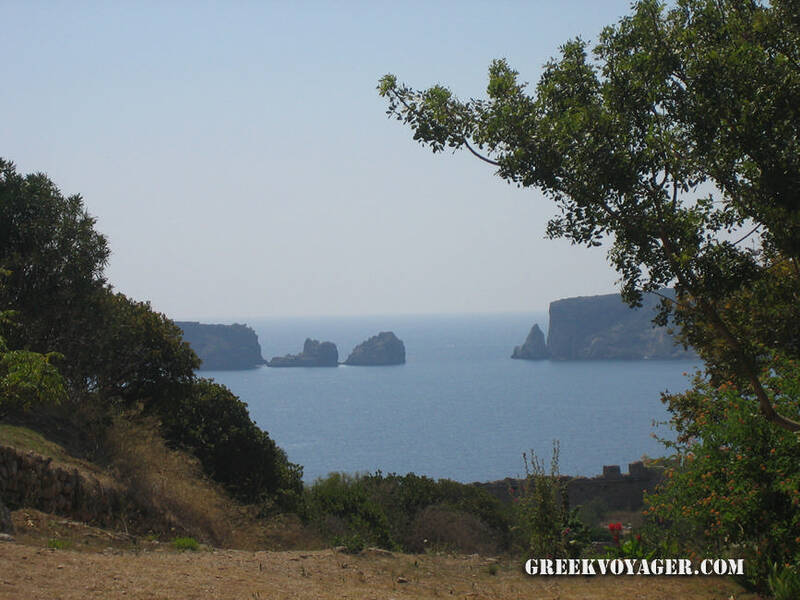 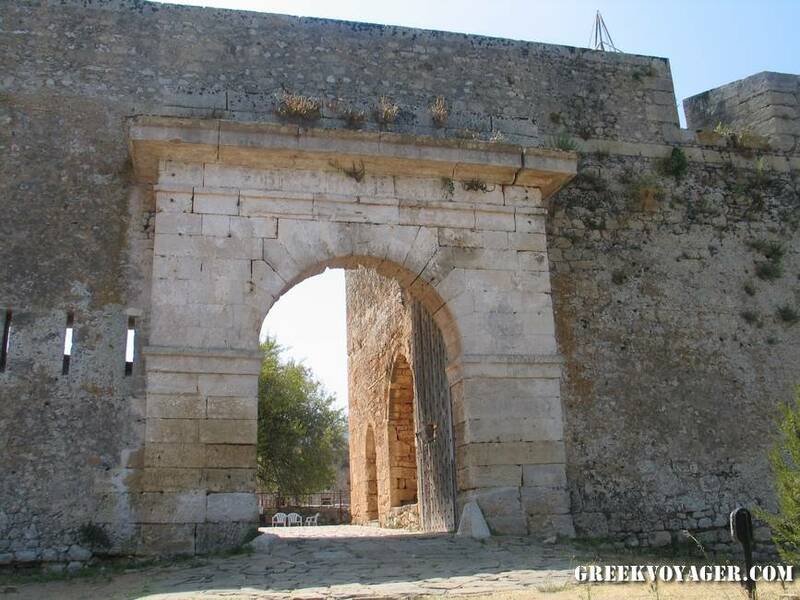 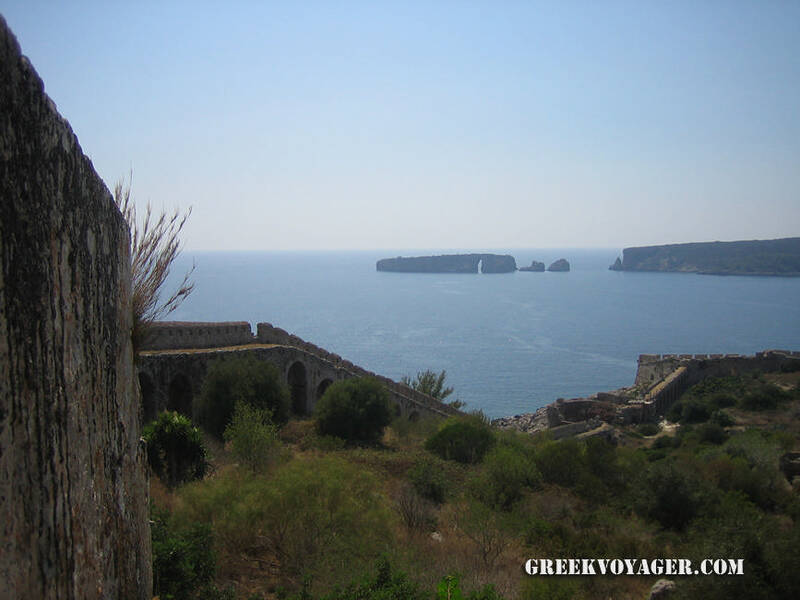 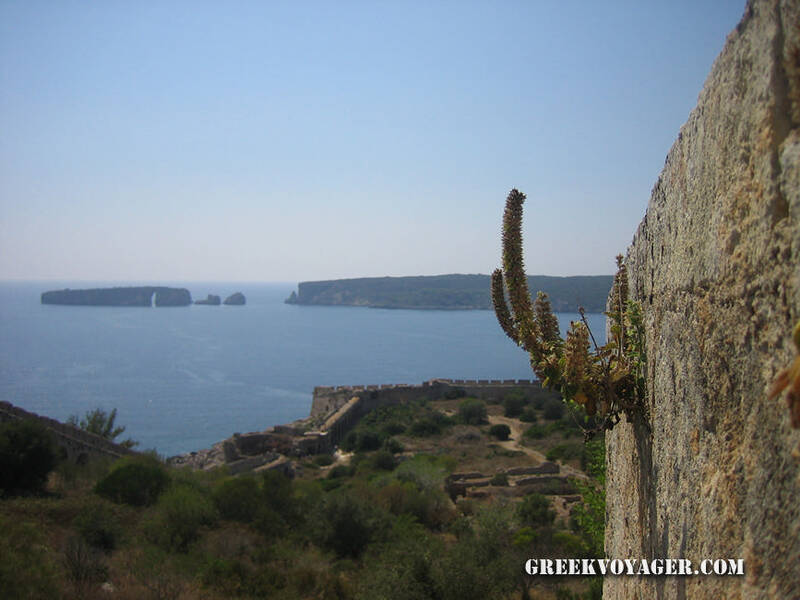 On the southern entrance of Pylos, there is Niokastro (New Castle), a large well preserved castle. 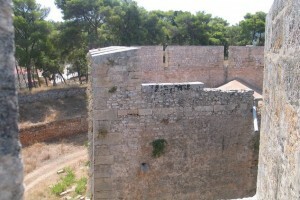 It began to be built by the Turks in 1573. 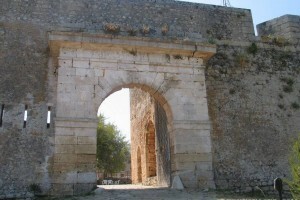 In 1686, it was taken by the Venetians and in 1715 was retaken by the Turks; in 1828 was conquered by General Maison. 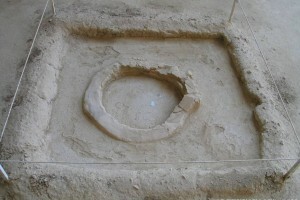 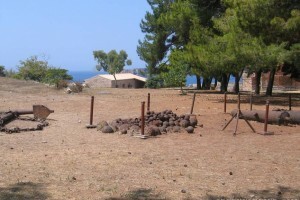 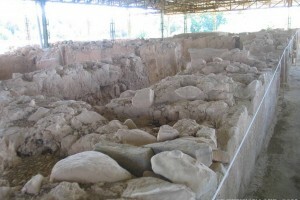 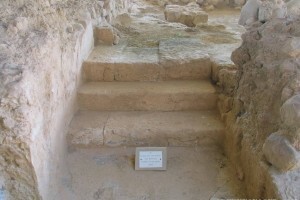 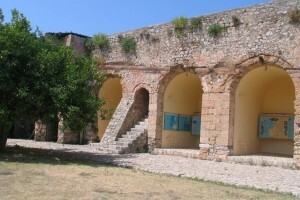 In the castle operates the Center of Underwater Archaeology. 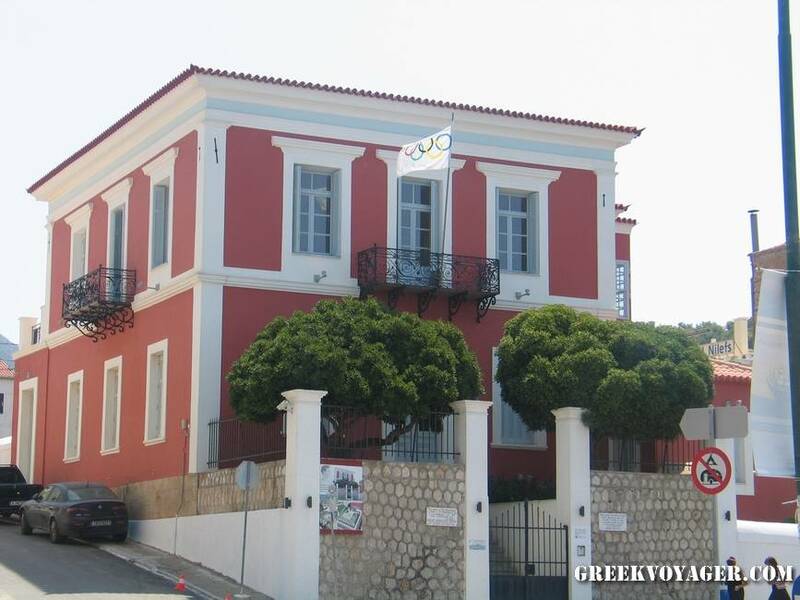 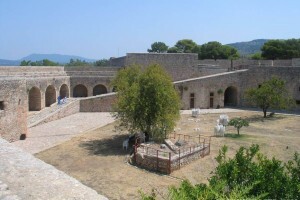 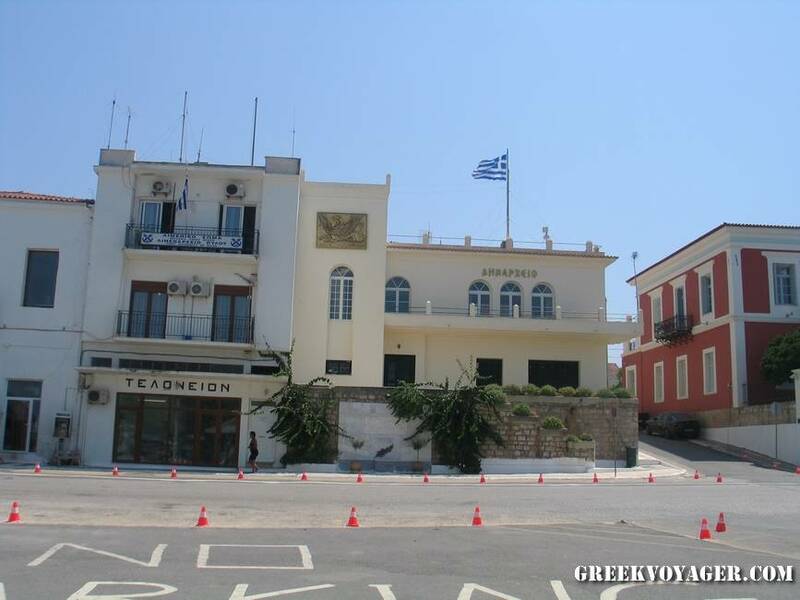 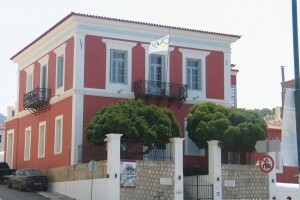 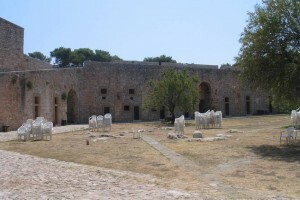 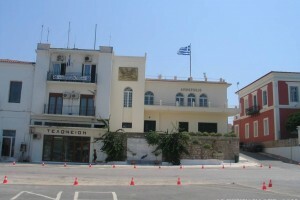 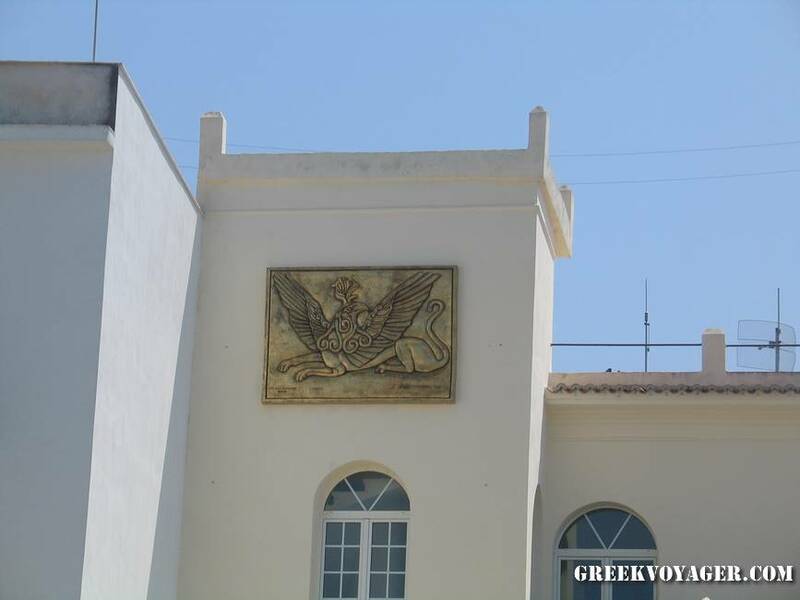 In the restored building of the barracks of the French expeditionary force, it is the exhibition of the collection donated to Pylos by the philhellene French journalist Rene Puaux (1878 - 1937). 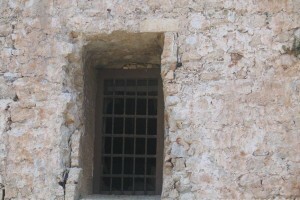 The Church of the Transfiguration is one of the few other survived buildings. 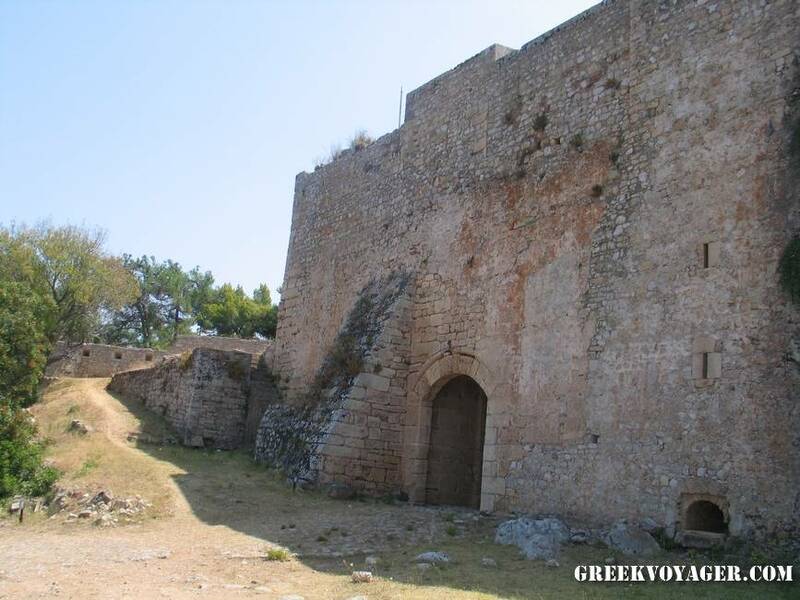 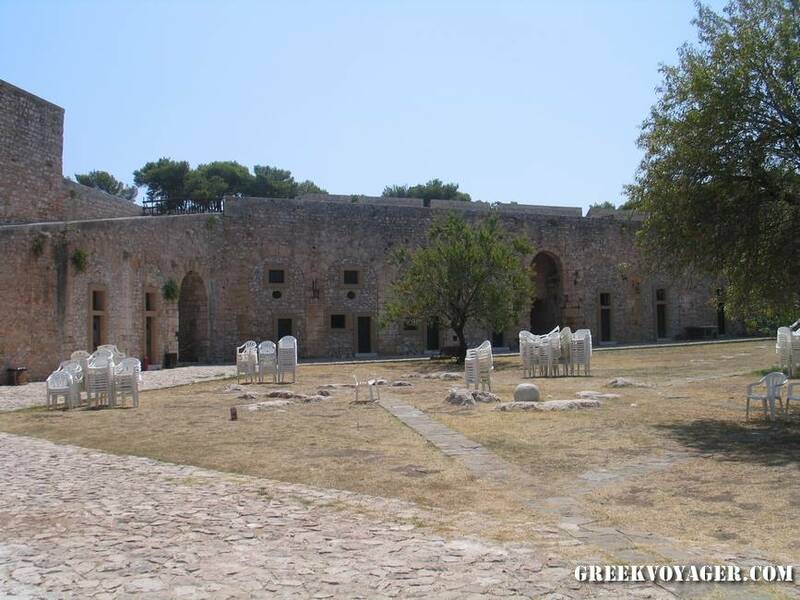 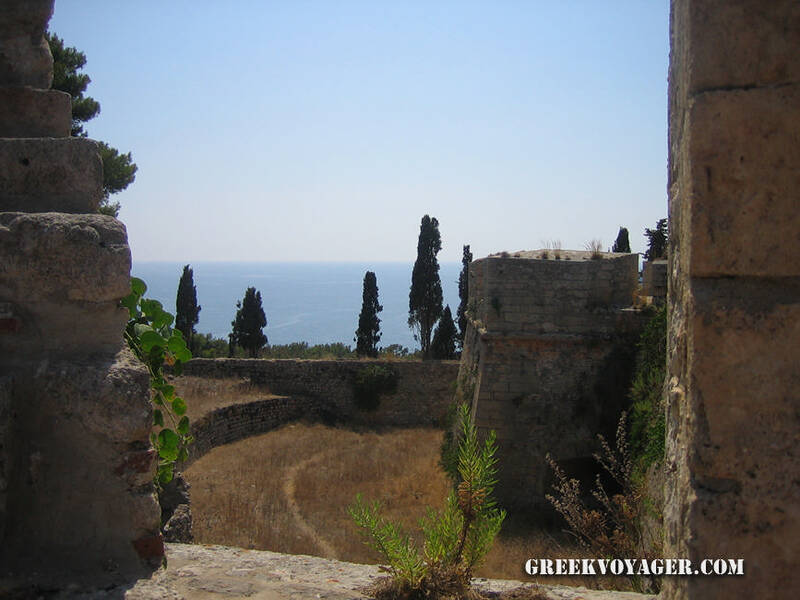 At the top of the cape Koryphassion, at the peninsula opposite the northern edge of Sphakteria, it is Palaeokastro (Old Castle), built in the late 13th century by the Franks, on the ruins of ancient fortifications. 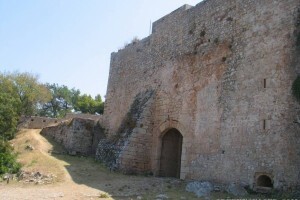 In relatively good condition is only the outer wall. 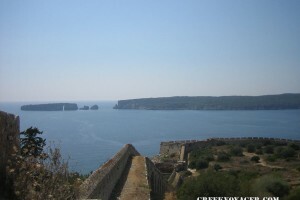 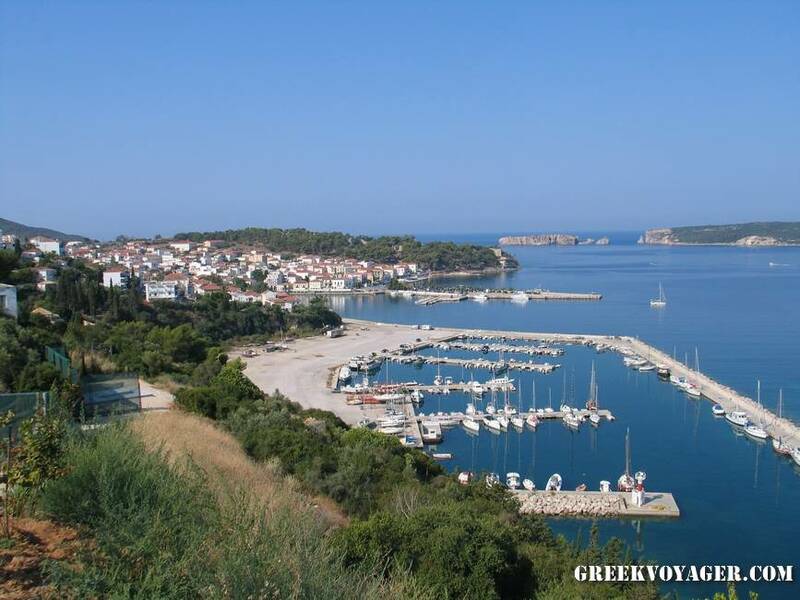 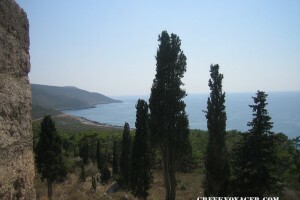 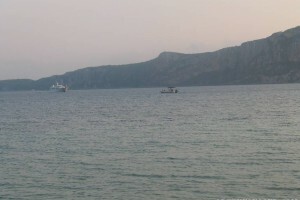 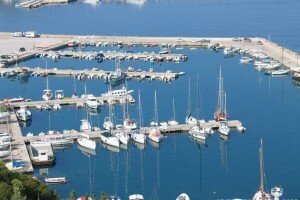 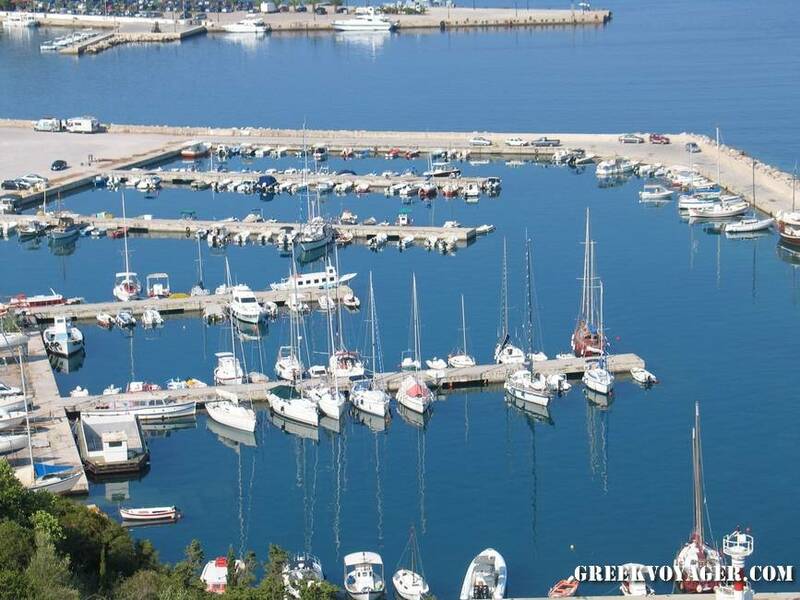 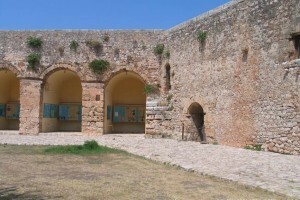 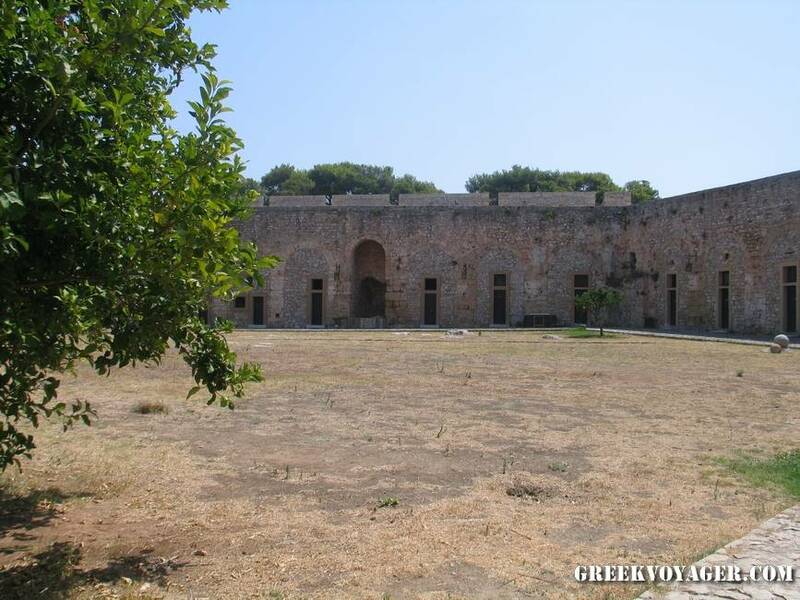 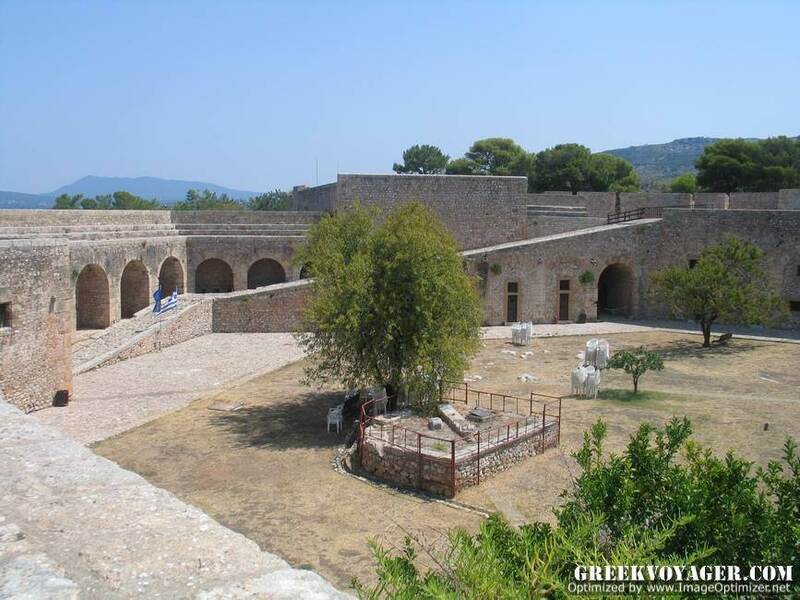 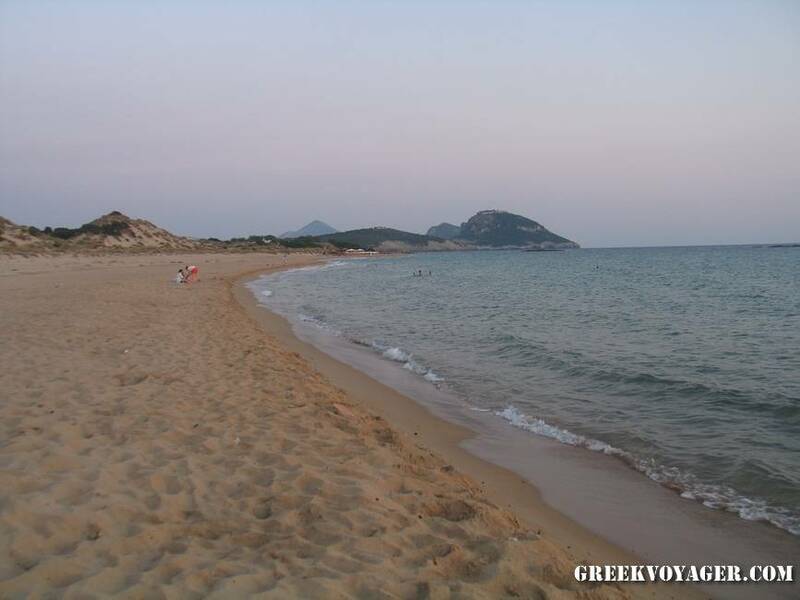 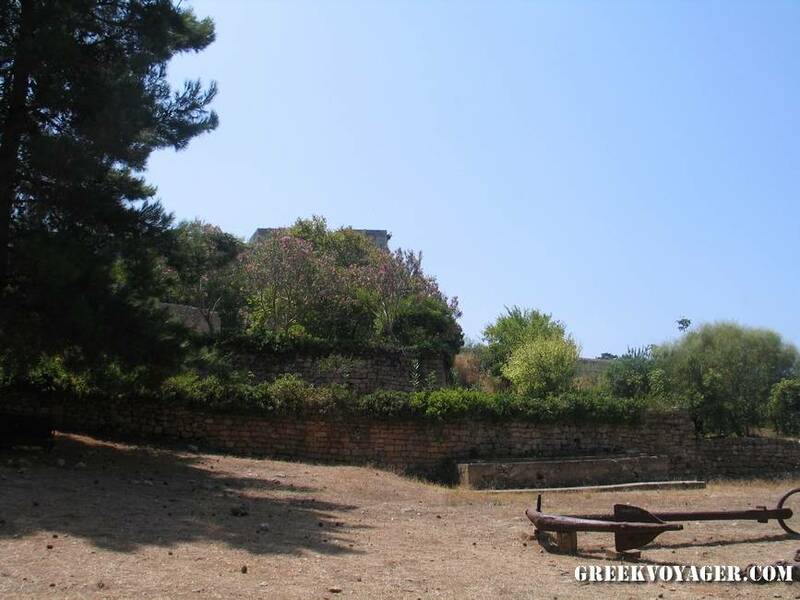 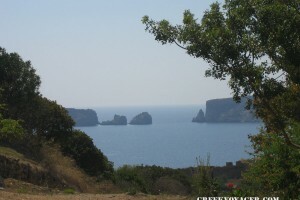 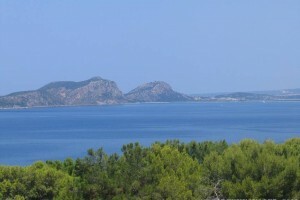 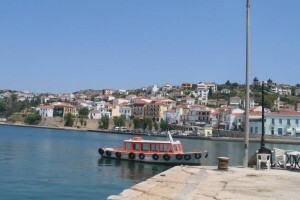 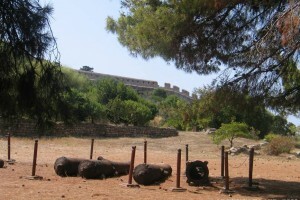 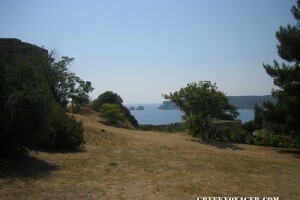 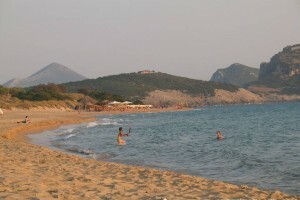 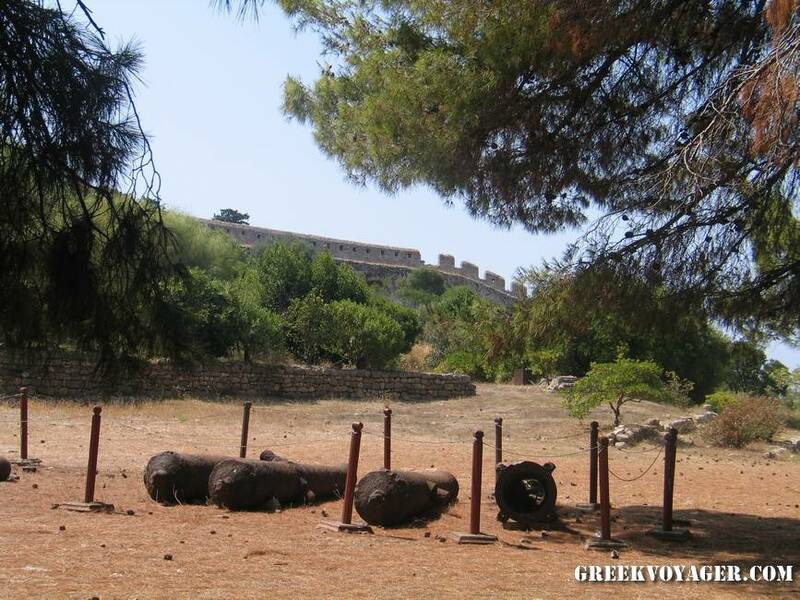 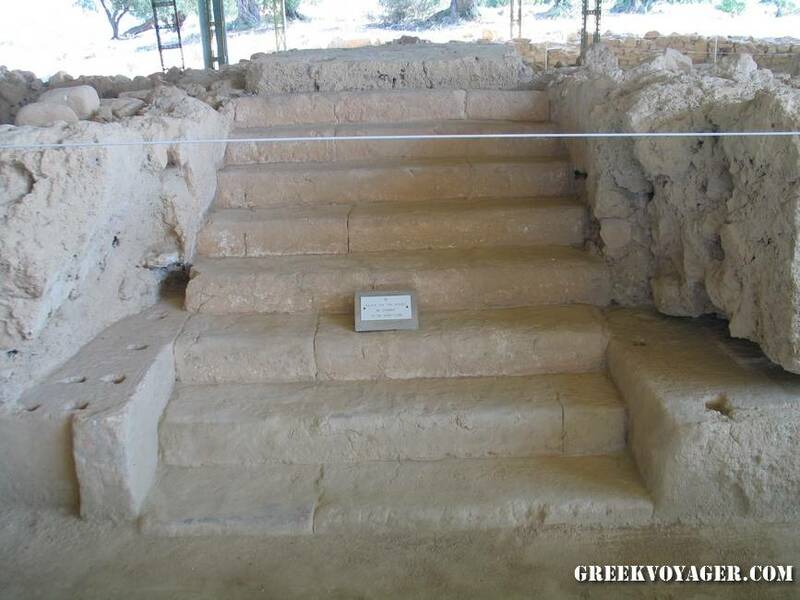 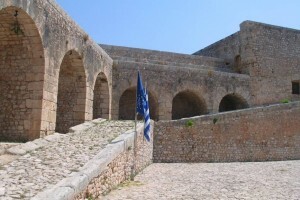 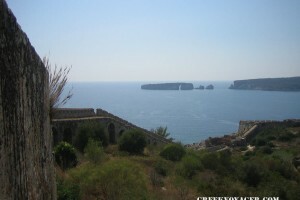 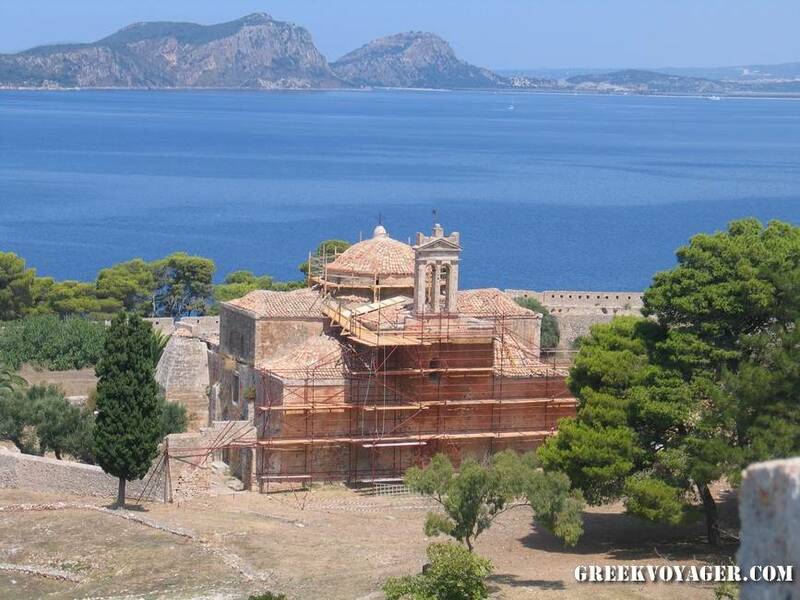 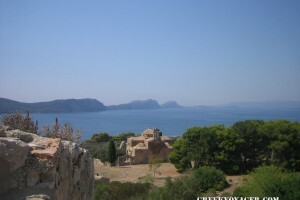 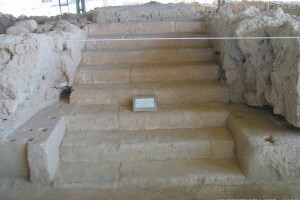 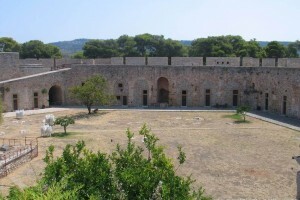 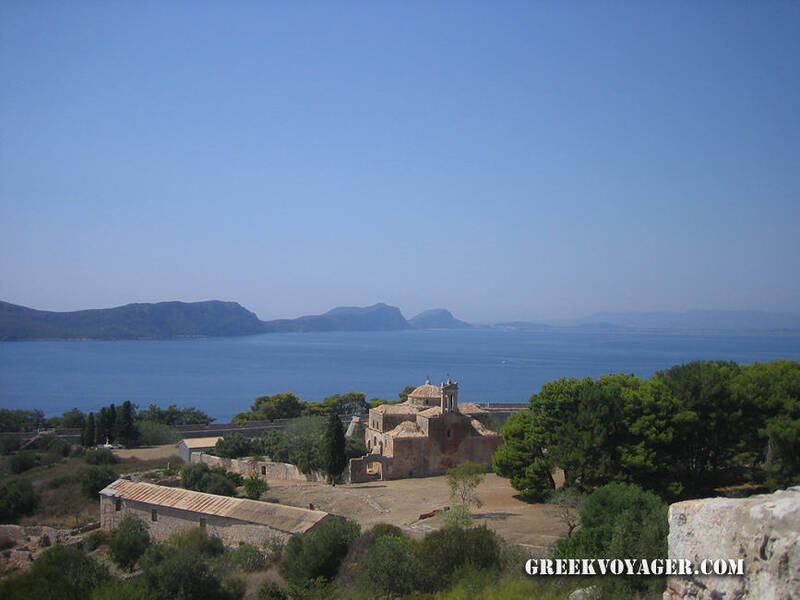 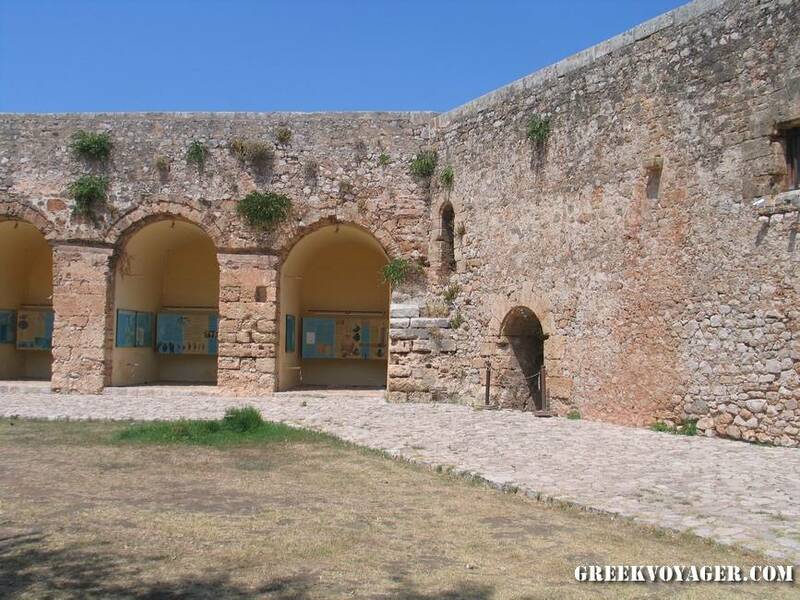 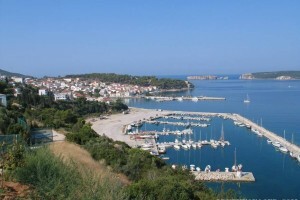 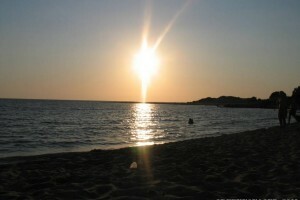 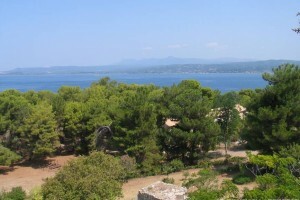 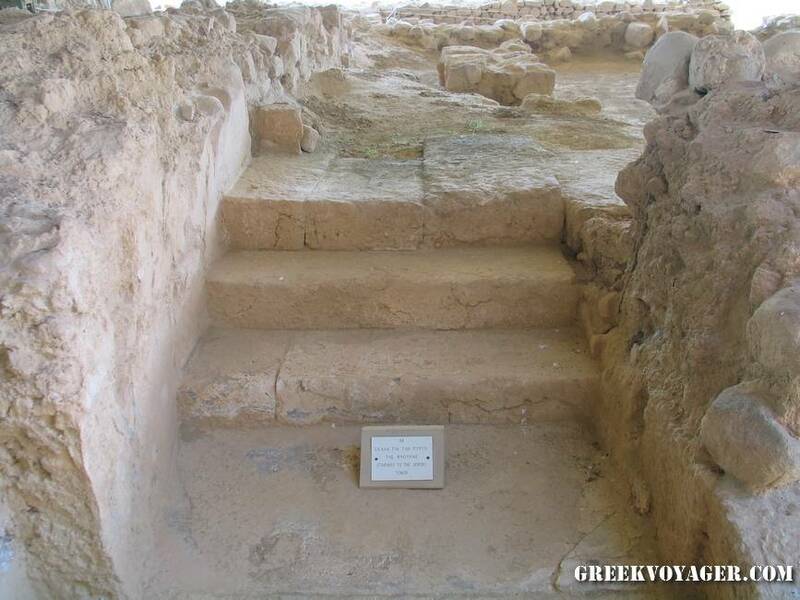 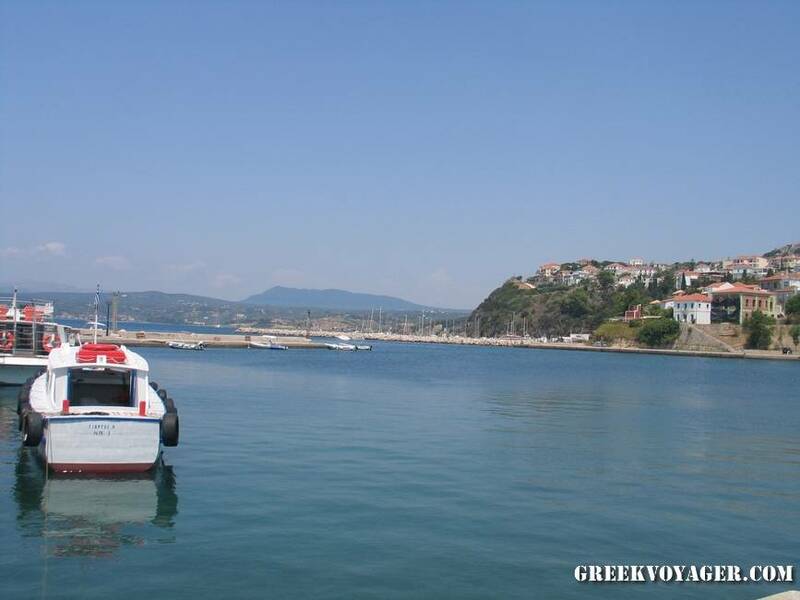 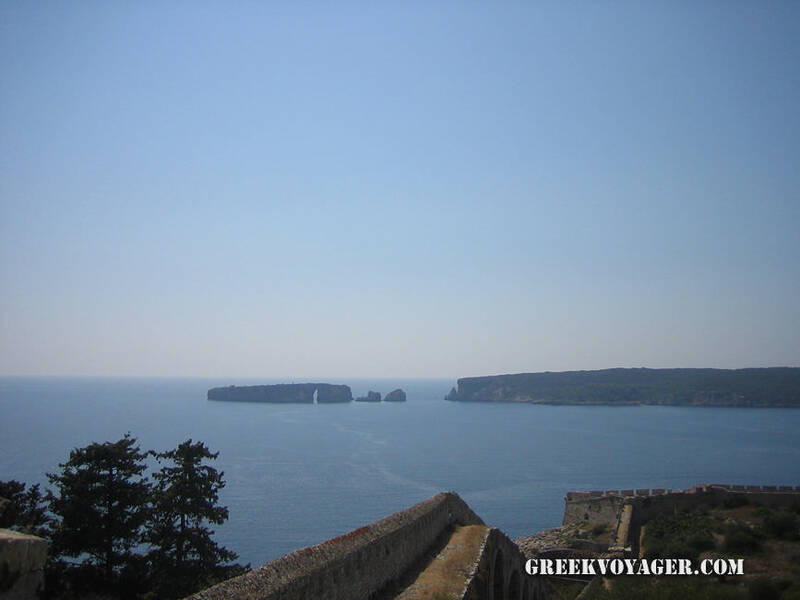 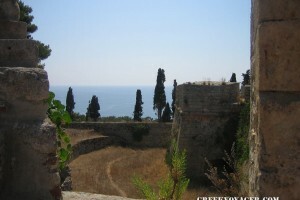 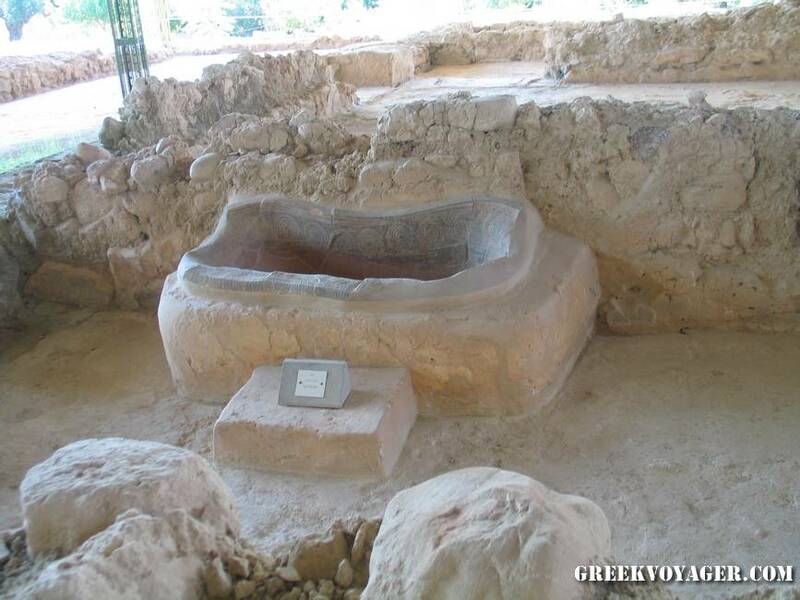 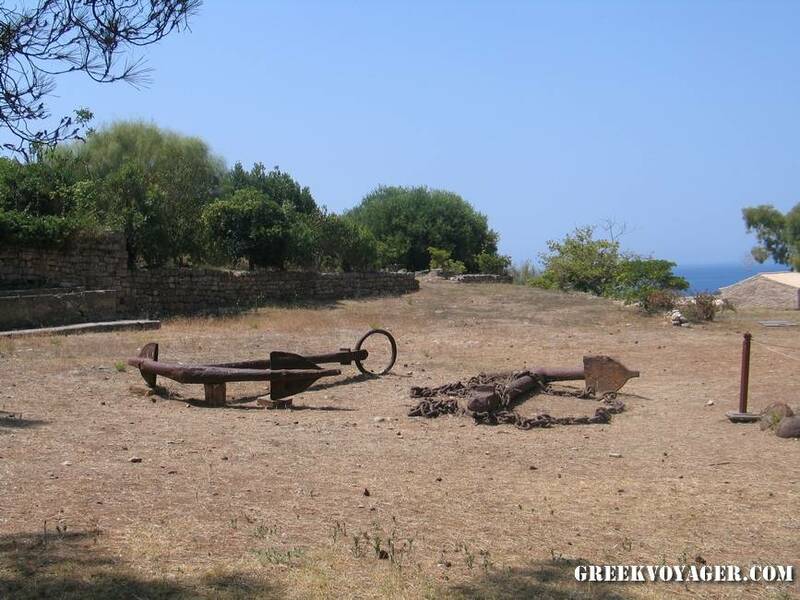 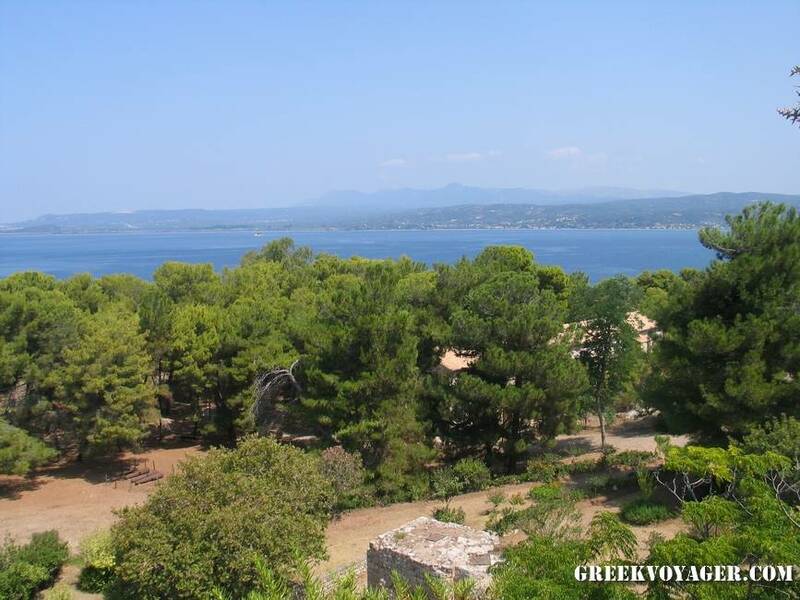 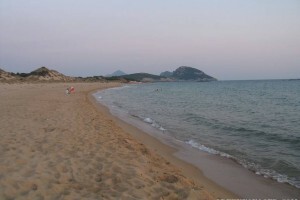 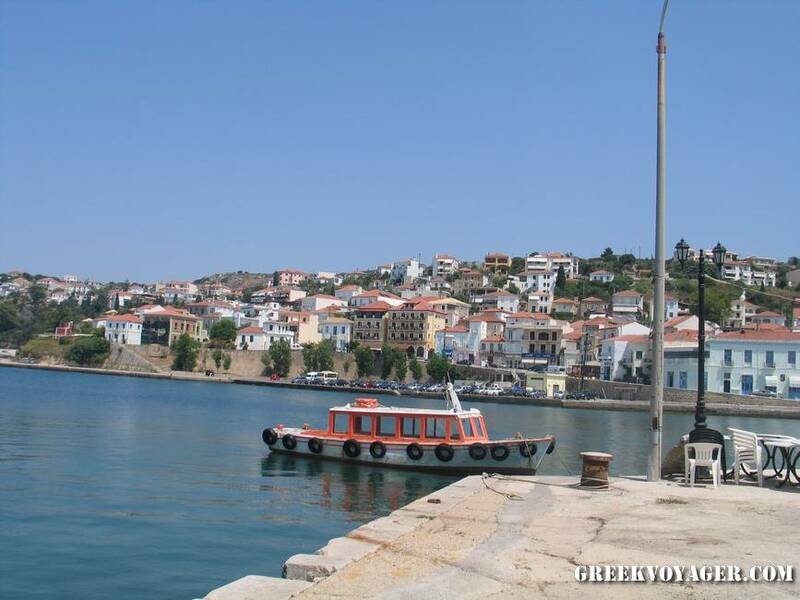 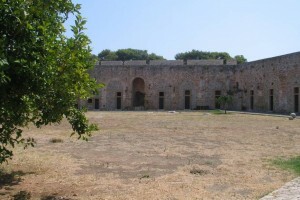 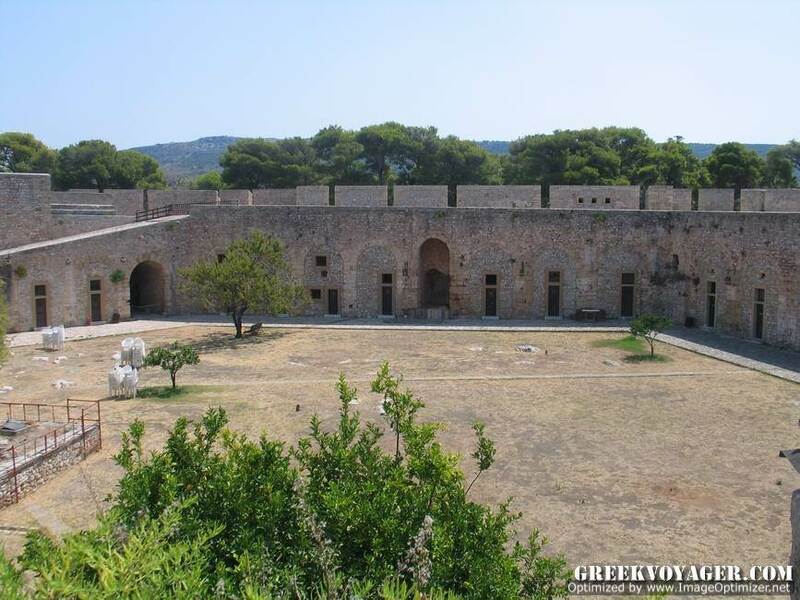 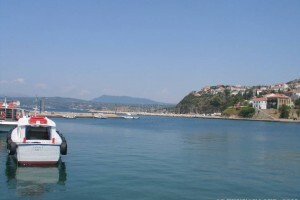 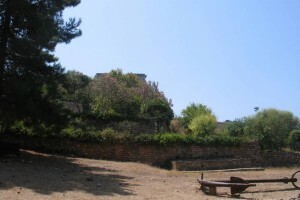 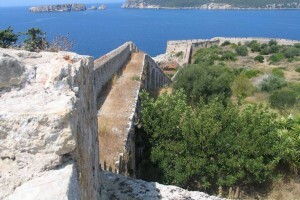 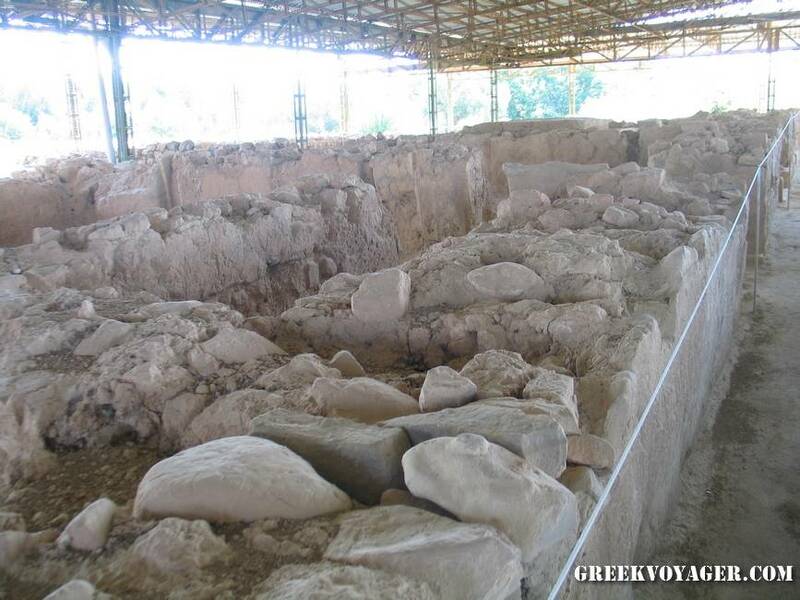 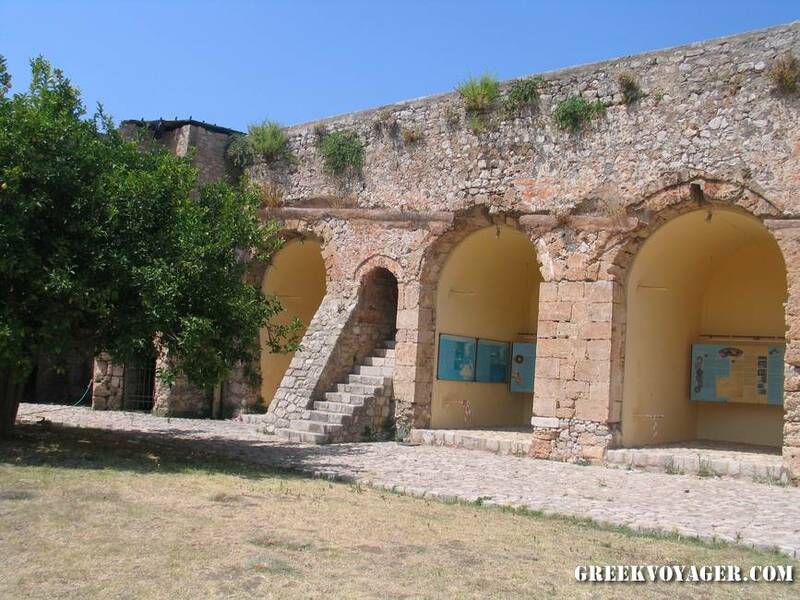 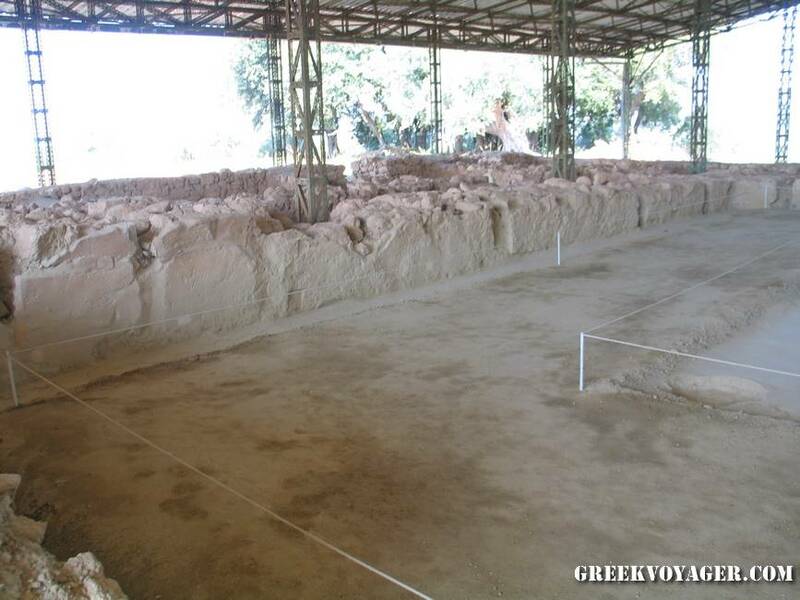 On the cape was the citadel of the city of Pylos during the historical times. 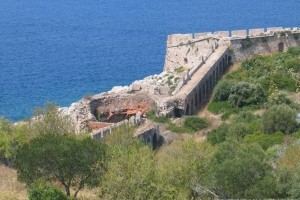 Nearby is the cave of Nestor, where according to mythology, newborn Hermes hid the animals, which had stolen from Apollo. 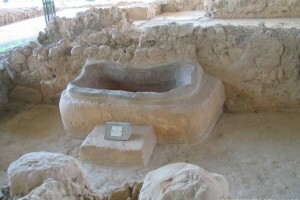 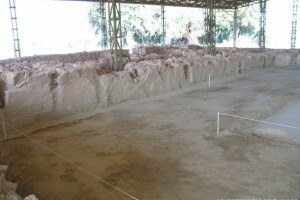 The cave was used from the Late Neolithic to the Classical era.